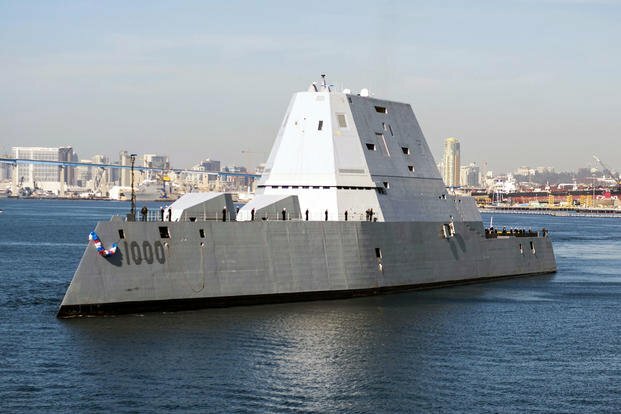 The Navy's futuristic destroyer Zumwalt is some two years away from being ready for battle -- but service leaders still don't know what to load in its main weapon. In late 2016, the service canceled plans to buy the long-range land attack projectile, or LRLAP, a round designed to be fired from the ship's massive 155mm Advanced Gun Systems weapon. At about $800,000 per round, the ammo was just too pricey to load up on the three ships in the limited Zumwalt large destroyer class. But it's now 2018, and the ship is expected to reach initial operational capability by fiscal 2020. And there's still no substitute round for the AGS.